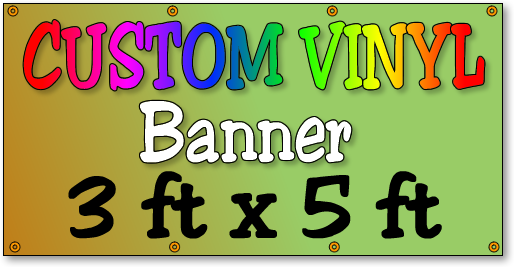 Have a customer looking for custom banners? Upload your custom 3 foot x 5 foot banner design today. Grommets included. Print your design no matter how many colors, same price for one to full color banners. Banners can be another way of getting your name out. Great for business, school, or political events. Let MySignPrinter.com be your banner supplier.